What your nonprofit needs to do to prepare for the new FASB rules. Twenty four years is a long time in our world. It's longer than some of us have been in the workforce. (Not me, but that's another post.) While it may be challenging to process the new FASB changes, which impact presentation and disclosure requirements, it's a long time coming. The intention of the rule changes are for nonprofits to provide more relevant information to their fundors. While the changes themselves are fairly straight forward, they will most likely require some preparation and modifications to how you are currently managing and tracking your financial data. Soft Trac is here to help. Check out our tips below on how to prepare for the FASB changes. While there is more extensive documentation out there that outlines the FASB changes in detail, below is a high level overview of the changes. - External limits from donors, grantors, etc. Investment income will now be required to be reported as the net amount after investment expenses. The organization will not be required to report on the amount of these investment expenses. Nonprofits can opt to use direct or indirect methods and will no longer be required to show the indirect reconciliation if direct method is used for cash flow. What does this mean for tracking and reporting on your financial data? While specific updates and modifications to your setup will depend on the software that you use to manage your financial information, here are some key things to review in order to be sure you are reporting your financial data in compliance with the new rules. The temporary restricted net asset category is no longer needed or reported on in your financial statements so you may want to review and update any segment classifications in your chart of accounts that are currently using this type identification and move them to either unrestricted or restricted. Your reports and other searches that are currently setup to utilize the three net asset classifications will need to be update and modified to use the remaining two as you move forward. Review any formulas or calculations that may be impacted by changes such as the presentation of your investment income net of any expenses, or presentation of cash flow information. With the addition of more disclosures for additional clarification on financial statements, you will want to begin pulling together all of the data that you need for disclosures. Is this information kept in different systems? For example, is some of the donor information needed for disclosures in your donor management system but not in your financial one? If so, you may want to consider integration options so everything is accessible in your financial system. User defined fields, if they are available, are a good option for tracking this data. If you are going to move to the direct method of calculation for your cash flow statement, you'll want to be sure your software can handle this method and that any configuration and setup is completed appropriately. If your software includes FASB reporting, you'll want to be sure to apply any relevant software updates prior to reporting under the new method so that you are using the correct version of the software that includes the update calculation information. 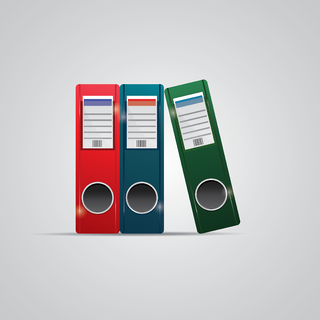 Maintain an Audit File & Audit Trail. Utilize Paperless Documentation When Possible. It is easier to access and restore, and helps with organization. Document internal controls and processes and update them to reflect any changes as a result of not only the FASB changes but any other policy modifications. These are just a few ideas on how to be ready for the upcoming FASB changes. Each organization will have to determine how the changes impact them and what modifications they need to make to their existing setups to accommodate for the new reporting. To learn more about the impact of the new FASB rules, join us at our upcoming customer conference in September. Click below for more information.